Dulcimer Club Meetings at Rock Springs Nature Center offer a perfect opportunity to rediscover musical interests and talents. 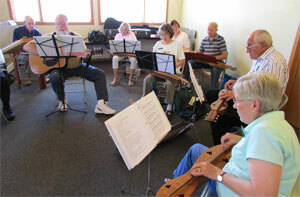 Bring your instrument, learn a new tune or simply enjoy the musical talents of our volunteers. Free and open to the public.